Located in the south of Corfu, this Greek island is a quiet unspoiled natural gem that is a must visit place for tourists visiting Greece. The island has no airport but one can reach there through ferrying. It might be a little challenge but the journey, island and all that it has to offer makes it worthwhile. One can also get to the Paxos from Corfu. The Corfu ‘New Port’ provide frequent vessels from the port to the island. Once there, you can indulge in a number of activities including swimming, snorkelling and such. The island is home to beautiful beaches and various small tourist attractions to explore and indulge in. The tropical climate, the delicious food and natural beauty, all make it a worthwhile journey to be in! Learn about the accommodations and destination that you might want to visit before handedly. Hours to reach the island may differ as per ferry availability. Ensure to do the research before arriving. People normally club together Santa Barbara Beach and Mad Mike's Bar while planning their visit to Paxos. People also prefer to end their day with Paxos. Nice greek insland! 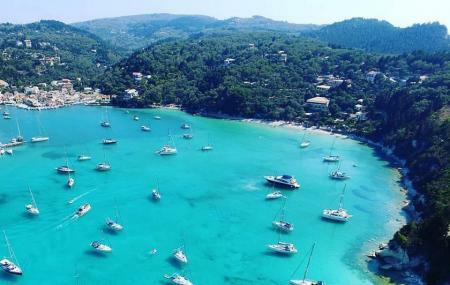 I also recommend going by boat to the neighbour island Antipaxos/Antipaxi. Awesome, beautiful weather, fantastic seas, great people, a must-see..
Beautiful island, everyone we met was really friendly and helpful.